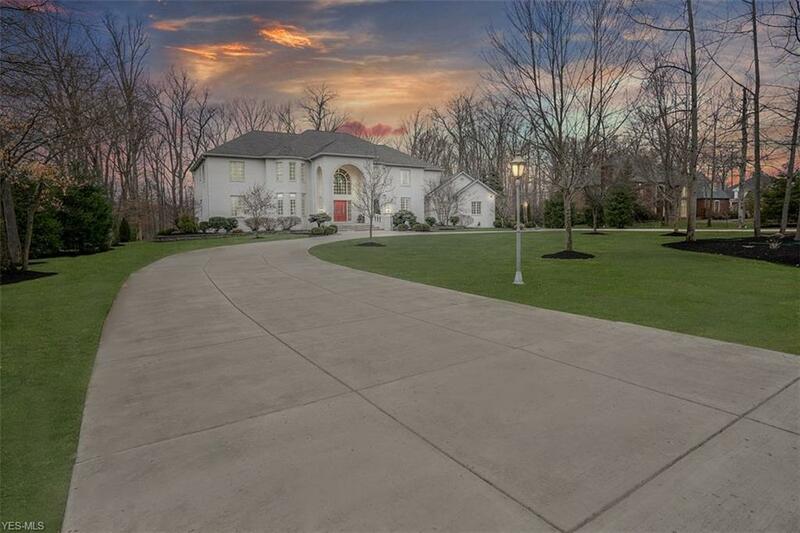 Description: Experience luxury when entering this breathtaking dream home. Custom built by Sudon Brothers, award winners for superior construction, quality & design. 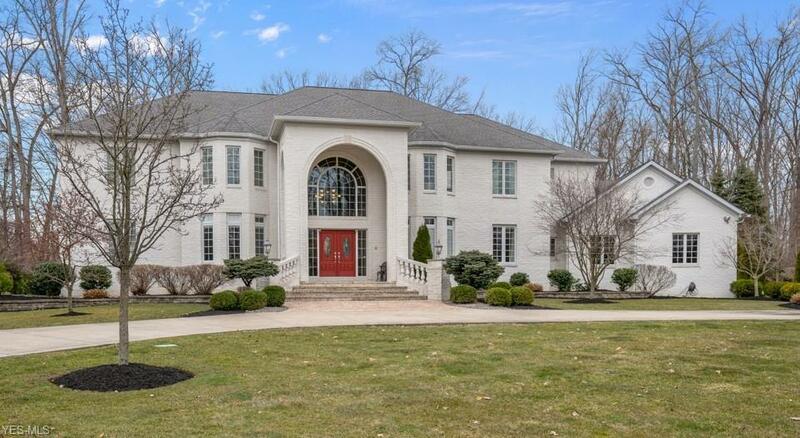 This exquisite home is situated in Muirfield Estates, one of Canfield's most prestigious subdivisions on cul-de-sac. 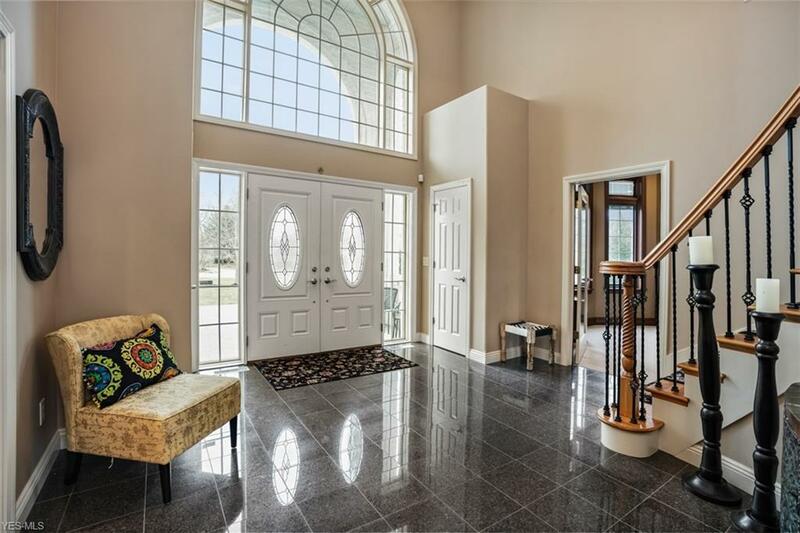 This two story all brick home has circular driveway features 2 master suites, 2 kitchens, 2 laundry rooms, 4 car heated garage & sits on private 1.6 acre lot. 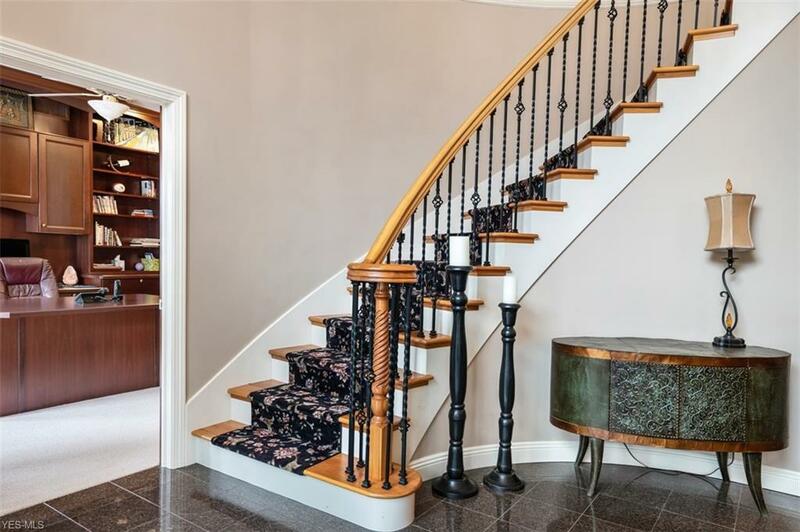 Step into this gorgeous elegant two story foyer with grand curved spiral staircase and granite floors. This masterpiece has an incredible open floor plan. 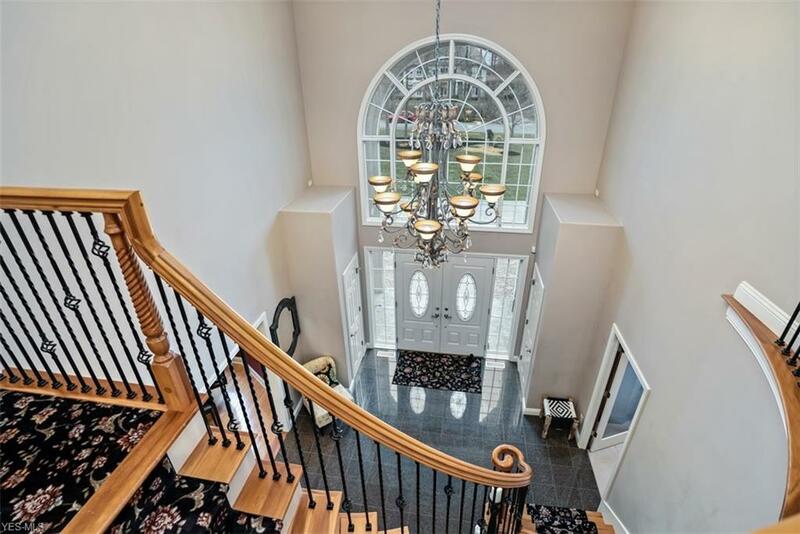 Great room with white pillars, soaring ceilings & warm fireplace with granite face. Enjoy entertainer's dream gourmet kitchen w/custom cabinetry, sub zero refrigerator, granite counters and floors. Huge curved breakfast island, mini bar and elegant spiral staircase. Cozy Florida/sun room with access to patios on each side. 1st floor master suite with luxury bath & huge walk-in closet. Celebrate your holiday feasts in extra large dining room & sunk-in parlor. 1st floor offers large executive office with built in book cases. 2nd floor with additional master suite with his/hers dream closet. 3 large bedrooms each with full bath. Lower level fully finished with full kitchen, theater room, bedroom, full bath & garage access. Home also has a back-up generator. Convenient to major highways, centrally located between Cleveland & Pittsburgh, minutes from schools, shopping, country club, parks, golf & more.